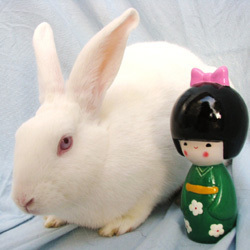 I am a sweet white rabbit named Zahara. I can be shy, but I will warm up quickly. White rabbits like me usually take longer to find a home because of our "plain" looks, but my personality will win your heart. Please meet me soon!